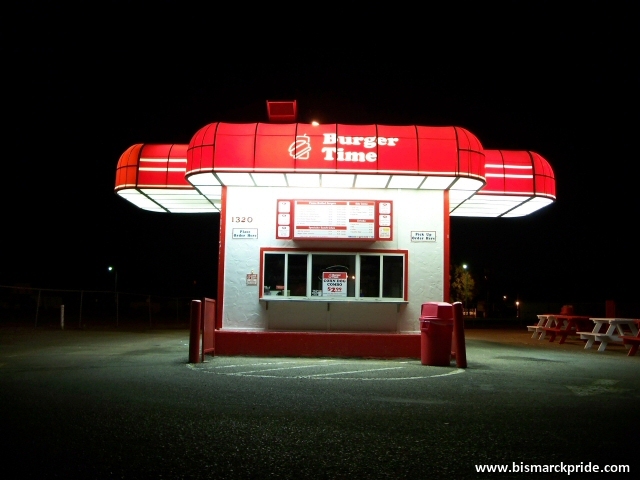 Burger Time is a small regional chain of fast food restaurants located in North Dakota, South Dakota, and Minnesota. I believe the Bismarck location was the chain’s third location, opened in 1989. The restaurant features two drive through lanes, one on each side, and a center walk-up window.